We have announced a new plan for the future of RBS; and the key to this plan is building a bank that earns its customers' trust, by serving them better than any other bank. RBS will be a smaller, simpler and smarter UK-focused bank that has the needs of its customers at its core. We want our customers to trust us more, and do more business with us, which in turn, will improve the performance of the bank. By 2020, we aim to be the number one bank for customer service and the most trusted bank in the UK. Building an engaged and inclusive workforce is crucial to our company’s success. We exist to serve customers, earning their trust by focusing on their needs and delivering excellent service. We care for each other and work best as one team, bringing the best of ourselves to work and supporting one another to realise our potential. We do the right thing, taking risk seriously and managing it prudently. We prize fairness and diversity and exercise judgement with thought and integrity. We know we succeed when our customers and communities succeed, and we do business in an open, direct and sustainable way. To serve our customers well, we need the best working environment, supported by the best employment practices. Through our people, we are determined to be the number one bank for customer service, by putting the customer at the heart of everything we do and working together to make a difference. Our people give our bank quality and strength - this is reflected in the support and development we give them. At RBS, you'll have the chance to challenge yourself, and enjoy a good work-life balance. We always value and reward patience, resilience and positivity, because transforming our business depends on a strong and engaged workforce. That's why we're committed to making RBS a great place to work. 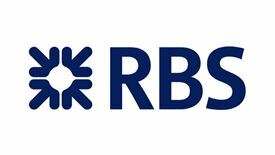 Get the latest jobs from Royal Bank of Scotland (RBS) sent direct to your inbox!